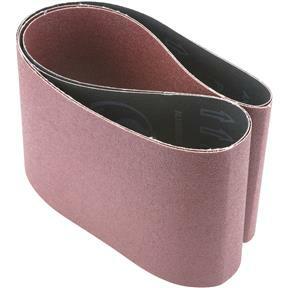 6" x 48" A/O Sanding Belt 80 Grit, 2 pk. Woodstock - 6" x 48" A/O Sanding Belt 80 Grit, 2 pk. I haven't put my replacement belts on yet, but they look like the exact same ones that came with my Grizzly G1014ZX combo disk/belt sander. Great quality and easy to fit on, once you figure out the sensitivity of the adjustment.